Bellbrook has always been known for its great fly-fishing and trout fishing, but it is also known as one of the prettiest fisheries in the country. For the past few years it has been rated in the top 30 out of 500 UK fisheries by the country's leading Trout fishing publication Trout Fisherman. It is set in its own 40-acre valley in Exe Valley between Devon and Somerset with an abundance of wildlife, including deer, badgers, foxes, rabbits and buzzards as well as many wild and rare flowers and plants. It provides a heavenly setting in which to “re-charge one’s batteries” and is known for its superb trout fishing with peace and tranquillity. Our fishing resort location in Exe Valley, Devon boasts 7 lakes in all and 5 that are stocked that all fish differently and we offer specimen only lakes. We can also provide fishing accommodation and tuition. As well as catering for seasoned fly and trout fishers we also offer events and tutorials for beginners wishing to take up fishing at our resort on the border of Devon and Somerset and across Exe Valley. Due to the calming nature of fishing we also offer corporate fishing events and team building events and days allowing you and your team to work together in a different environment, often bringing out the best in the individual. We offer a range of packages for groups or corporate teams providing instructors for the less experienced or beginners, all the equipment needed and laying on of a sit down lunch in the our idyllic fishing resort for those who want to take in the beautiful sights of Devon and Somerset UK. So whatever your needs whether it be a relaxing trout fishing holiday in our idyllic fishing resort, a corporate team building event, a half day pass for Fly-fishing or Trout fishing or even a fishing tutorial course with one of our experienced fishers then look no further than Bellbrook Valley, Fly-fishing and Trout Fishing in Exe Valley, Devon and Somerset. 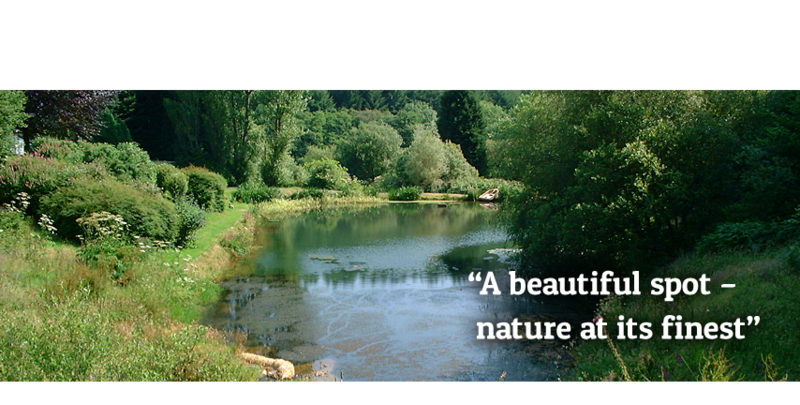 Our aim is to provide fishing facilities in the heart of North Devon, where it is possible to escape from the madness of the outside world and relax in total tranquility by one of our many lakes or simply walking in the grounds. The atmosphere is relaxed and homely, but where something is always going on and someone is always dropping by. Everyone is welcome and made to feel welcome. So whether you want to sit and fish and watch the world go by or you want to indulge in some more energetic forms of relaxation all are accommodated for and all more than welcome.